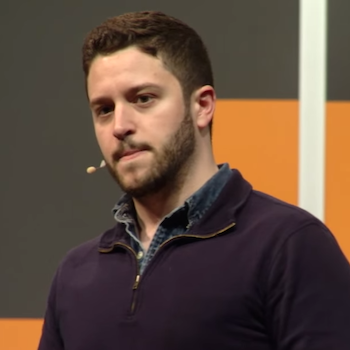 Anarchist activist Cody Wilson has officially launched his candidacy for the upcoming Bitcoin Foundation board elections, and reaffirmed his intention to try and disband the organization from within if successful. Wilson nominated himself with a post on the foundation’s forums on 20th December and has also launched a website to support his campaign. A staunch opponent of bitcoin regulation or centralization, Wilson is also best known for co-founding Defense Distributed, a donor-funded nonprofit organization that designs and distributes plans for the 3D-printed ‘Liberator’ pistol and ‘Ghost Gunner‘ CNC milling machine. He was also part of the founding team of DarkWallet, the project to make bitcoin transaction anonymization easy for everyday users. “I will run on a platform of the complete dissolution of the Bitcoin Foundation and will begin and end every single one of my public statements with that message,” Wilson said in November when he first announced his intention to run. Notably, the Bitcoin Foundation‘s November announcement that it would wind down its education, outreach and public policy efforts to focus on developing bitcoin’s software core appears not to have weakened his campaign. Elections will be held 13-19th February for the individual board seats being vacated by outgoing executive director Jon Matonis and current chief scientist Gavin Andresen. Election committee chair Brian Goss posted an acknowledgement that nominations including Wilson’s had been received. Official confirmations will be posted mid-January. The foundation board also voted in November to retire the Founding Member seat of chairman Peter Vessenes, to be replaced with an International Chapter Director Seat to represent non-US affiliates. The goal is to eventually have a board 100% elected by foundation members. Speaking to CoinDesk, Wilson said his complaint is not with any individual or group within the foundation, but the structure of the organization itself. Rather than forming a body to standardize and protect an open-source technology a la the Linux Foundation, he said, the Bitcoin Foundation gave itself a wider role with lobbying power and creation of global policy strategies. Incoming executive director Patrick Murck promised a new era of openness and consultation with the foundation’s constituents, and conducted surveys into what members wanted most. This led to the promise to focus only on bitcoin’s technology. This refocus on development only, however, is superficial and there is no meaningful break with its current incarnation, Wilson believes. He notes that public statements have not changed the foundation’s by-laws, its established channels of communication or its affiliate programs around the world. Even if current leaders are sincere, those in the near or longer-term future could simply come in and pick up the threads previous lobbying efforts have left in place, he said. When bitcoin’s price shot up around April 2013 and began to appear in mainstream headlines, often in association with operations like Silk Road, regulators also started to take a much closer interest. In response, advocacy groups, including the Bitcoin Foundation, hurried to reassure the authorities that the technology and most businesses were legitimate. Had it not done so, some say, government moves to further marginalize or even block access to bitcoin may have ensued. Wilson disagrees, and says the foundation’s founders were also too fast to reveal bitcoin’s potential and seek to negotiate it with regulators. Despite the rhetoric, the candidacy is not meant to be flippant or overly negative, Wilson said, and he intends to “give other candidates a run for their money”. He has been conversing with other former members of the foundation who have become disillusioned with the its recent direction, he said. This could potentially bring a contingent of energized participants to the election who wouldn’t have been involved otherwise. Wilson expects outside criticism of his campaign, or even challenges to his legitimacy via the foundation’s own bylaws, should he be elected. However, it is a serious campaign, he stresses, saying it is legally possible while abiding by all the current rules. He would take his seat and does not wish other members to simply turn him away at the first board meeting. But can bitcoin still succeed without a public face to argue for its legitimacy? That depends on your definition of success, Wilson said, adding that in terms of acceptance and use, bitcoin’s superiority over existing financial technology would see it make gains without formal help. Wilson would like to start a debate about what ‘bitcoin’s success’ actually means to different people, he said. He does not view success as bitcoin merely becoming an “under the hood lubricant for other financial transactions”, unseen by users. Instead, it represents a kind of singularity that entails whole new political ways of being, new economic modes, rebellion. Making “Faustian bargains” with regulatory powers would ultimately limit what can be achieved with bitcoin politically, even if the software remained capable of fulfilling Satoshi Nakamoto’s original vision. Jim Harper was the Bitcoin Foundation’s Global Policy Counsel from March to December 2014, and is a senior fellow at libertarian think-tank the Cato Institute. Disagreeing with the foundation’s decision to withdraw from public policy and education, he left his job there and is now also running for a board position. He posted on the Bitcoin Foundation forums that he did not agree with Wilson’s approach, and suggested it was more about provocation and drawing attention to the cause than for the good of bitcoin – but also that such discussion “shouldn’t be off the table”. Harper told CoinDesk that the foundation instead needs stability before it can again be a credible public policy voice or educational resource. While he has his own vision for the foundation’s return to a policy role, it would require a consensus of the board. Bitcoin can certainly exist without a foundation, Harper added, but a well-run foundation can help speed its adoption wordwide. Growing the bitcoin ecosystem this way would do nothing to prevent bitcoin from developing independently at the same time, he said. There need not be a conflict between those parts of the bitcoin community interacting with regulators, and others developing the ecosystem independent of government regulatory systems. Wilson compared bitcoin pioneers to those of the 1990s’ ‘cryptography wars‘ who went to court and risked jail terms for creating technology like remailers and data encryption software PGP, as well as his own work with Defense Distributed. Wilson acknowledges that there is considerable anger and outrage in the words he’s written in his campaign manifesto, but insists it is not his intent to be punitive. CoinDesk spoke to the Bitcoin Foundation, but its leadership declined to comment other than saying anyone had a right to campaign on the platform of their choice and that the organization did not want to interfere in the electoral process.